Rev. Jason Schultz is a full time pastor at St. Peter Lutheran Church in Oxbow and St. John Lutheran Church in Frobisher, Saskatchewan. He graduated with distinction from Concordia University College of Alberta with a Bachelor of Arts degree in Sociology in 2002 and graduated with a Masters of Divinity degree from Concordia Lutheran Seminary in 2006. He has lived in Oxbow, SK since 2007. Photography has become one of his passions and he has been taking photos for clients since 2010. His work has been published in international photography magazines as well as Canadian publications. He has been involved in many charitable causes using photography as the medium and has also led lighting workshops and individual photography lessons. He has a self-confessed ‘light addiction’ and focuses on making dramatic portraits with both simple and elobrate lighting setups. He is married to his wife Regan and the proud papa of his three children Phoebe, Ethan and Pria. Hey there, I noticed that you use the fuji X100S in your portraits, which are beautiful btw. I own an xt1 and x100s. I have a family session coming up and was thinking about using my x100s for it. In your experience, is this little camera enough? I hate large gear; I’ve shot canon full frame, nikon you name it but have fallen in love with the fuji lineup. This would be my first paid gig using it and I’m nervous. Do you have any input that could help? Fuji is awesome. I have used the X100s in a professional capacity (paid gig) and the files are great. It does a great job for the family group shots. I haven’t used it much since I got my Df for professional stuff, but certainly could. If you’ve got the XT1 with a portrait lens and the X100s for the group stuff, you’ll have it made. The X100s focal length isn’t long enough for my taste for individual portraits. But certainly for environmental stuff it’s great. Have fun with the shoot! 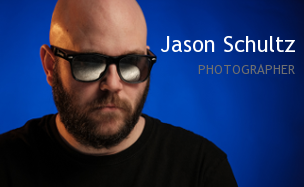 Hi Jason, A fellow light seeker! Thank you for following my photography blog, Jane’s Lens. I hope you are inspired. You have captured many beautiful moments. Hello – I think I can help you during those dates, do you have an email I can reach you at?